I wasn't even offered a choice! It was lunch time and he parked the car outside the hospital and took a few minutes trek and Voila! 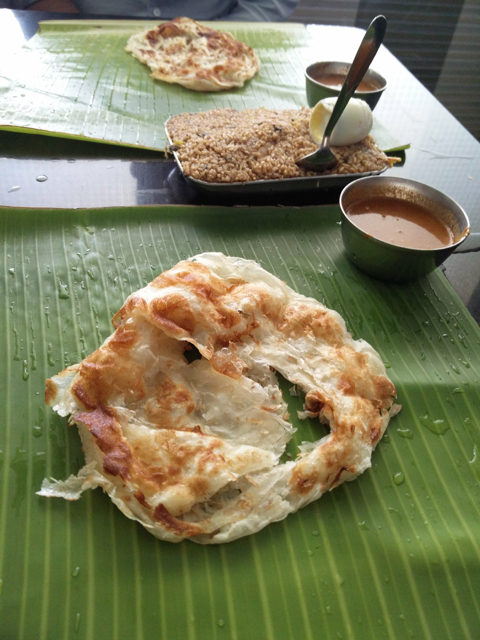 "When in Kongu Nadu, eat Kongu parotta," he said ushering me into the a/c room portion of the restaurant. Outside was a factory. Parotta factory. The dough was puffy. Like an air pocket inside it. I was already dying to taste the parotas. They were everything that my friend said they would be. Fluffy like crazy, soft like meat and yummy as he!! Since they serve you a little spicy gravy on the side, there is no need to order something to wet the parotta, instead you could get something else on the side! We got ourselves the Quail Roast. While I wasn't expecting the whole bird, that's what arrived! Yummy fried bird. 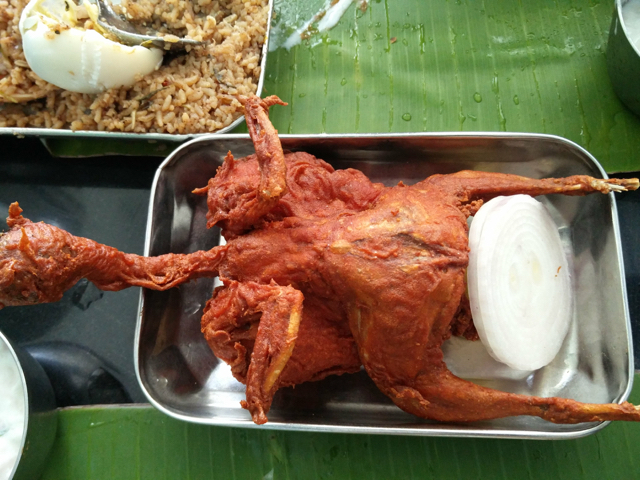 Chicken Kongu Biriyani finished the meal. The biriyani was spicy and had a slightly overpowering flavour of garlic that gave it a unique taste. 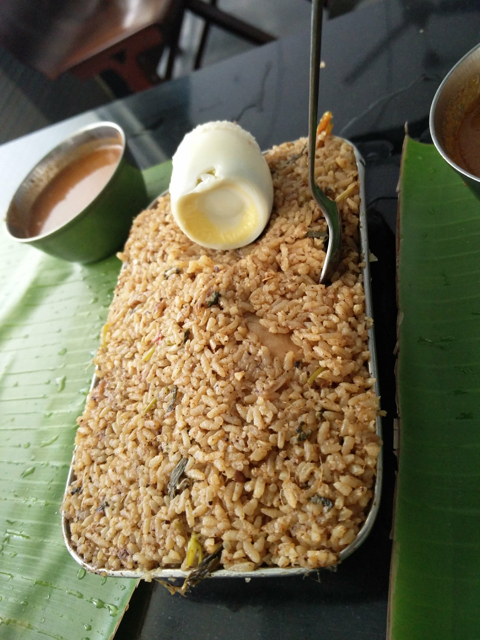 While I'm not sure if this is how the Kongu Biriyani is, I quite enjoyed the unique flavour. 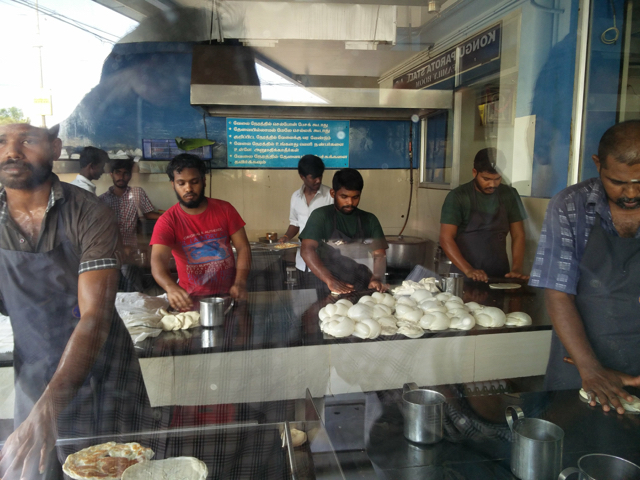 Kongu Parotta Stall is in Erode. 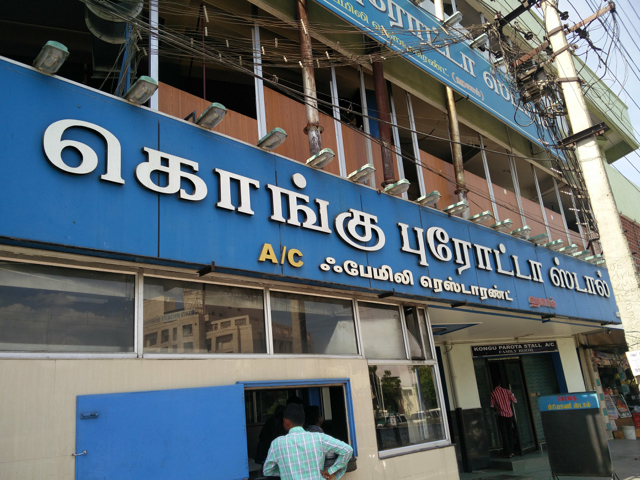 It is a two minute walk from a hospital called Senthil Multi Specialty Hospital in Erode!